Spot clinched highs near 106.70. USD up marginally for the day. US 10-y yields around 2.87%. 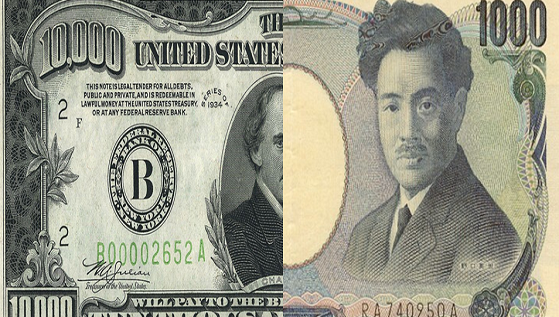 The greenback is posting moderate gains vs. its Japanese counterpart at the beginning of the week and is now collaborating with USD/JPY’s recovery to the 10.70 region, where sellers seem to have stepped in. After testing fresh cycle lows in the mid-105.00s on Friday, the pair managed to not only close with gains but also to extend the rebound to today’s tops in the 106.65/70 band, all amidst a better tone in the buck and a continuation of the selling bias in JPY. In the meantime, spot remains decoupled from yields in the US 10-year benchmark since the start of the year and appears to trade in tandem with the greenback at the moment. In fact, US yields are now reflecting concerns on rising US deficits and have receded from last week’s multi-year tops in around 2.95%. Later in the week, the FOMC minutes should grab all the attention along with Fedspeak throughout the week. As of writing the pair is up 0.34% at 106.56 facing the next hurdle at 107.89 (10-day sma) seconded by 108.72 (21-day sma) and then 110.48 (high Feb.2). On the flip side, a breakdown of 105.53 (2018 low Feb.16) would open the door to 102.54 (low Nov.3 2016) and finally 101.15 (low Nov.9 2016).